ZI by Zeanne is a handcrafted jewellery label that does unique pieces like beaded-patch necklaces and earrings, and pendants with preserved flowers or leaves. You don't see a lot of brands creating stunning jewellery with frozen flowers and leaves, and this for us, is what makes ZI by Zeanne awesome. They've got a range of these earrings in circular shapes with detailed silver edges that have made us fall in love with this brand. 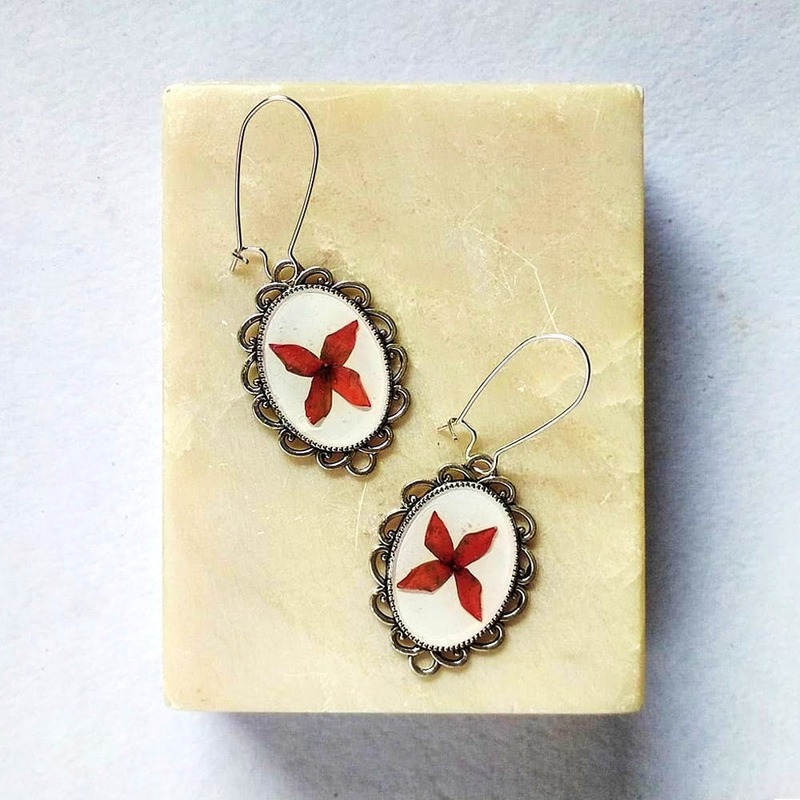 The yellow Gulmohar petal one and the maroon Jungle Flame Flower earrings are our favourites. While we're not very big on necklaces, ZI's pendant with an Orchid petal has convinced us to get one pronto. These pendants are also available in square and circular shapes. Their beaded patch necklaces are also stunners. These come in a variety of motifs like pandas, elephants, cycles, auto rickshaws, cameras and more. Beaded earrings, tasseled neck pieces and earrings are some of the other things they're offering. Looking for last-minute gifts? These are perfect. At the moment, they do not have a website from where you can buy jewellery. You can only view their products and for prices you'll have to message the folks at ZI By Zeanne. On the bright side, these guys are prompt on Instagram so all your queries will be answered ASAP.